iCloud Removal Tool Free Download – Is It True? The iCloud Activation Lock is a remote lock that can be placed on iPhone or iPad via the previous owner’s iCloud account. This lock prevents any other person who is not the iPhone or iPad owner from activating the device or accessing files and contents stored within the device. If you acquired a secondhand iPhone that is Activation locked, you have a slim chance of activating the device again. Nevertheless, several online and software-based services claim to unlock iCloud Activation Lock from iOS devices, but many of them are white lies, scams, and fraudulent services that have nothing to offer. Therefore, we shall be introducing you to the best iCloud removal tool free download. Part 1: Are There iCloud Removal Tool Free to Downloads? Are There iCloud Removal Tool Free to Downloads? Yes, some iCloud removal tools are free to download, but you’ll need to complete the purchases before you can obtain a license to use it in unlocking iCloud locks from your iOS devices. 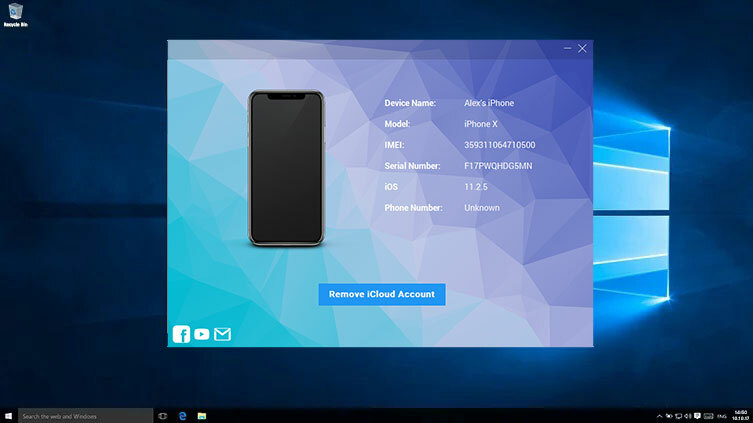 Examples of iCloud removal tools that are free to download include iMyFone LockWiper, Official iPhone Unlock, Open my iCloud Easy Unlock Tool, iRemove Tool, Bypass iCloud Activation Tool, Doulci iCloud Unlocking Tool, Remove iCloud Activation Lock Tool, etc. iMyFone LockWiper is the best iCloud account removal tool that’s available on the market today. This tool is efficient and perfectly effective in removing screen locks, Apple ID, and iCloud account from iPhone, iPad and iPod touch. This software has an intuitive interface, safe to use design, user-friendliness, effectiveness in unlocking locked iOS devices, and fast in removing iCloud and screen locks from iPhone. LockWiper is the top ranking software in this post and most iCloud removal tool free download reviews because it’s the true and genuine iCloud removal tool that offers a free download. However, before you can use all the features of this wonderful tool, you’ll have to purchase a genuine license from iMyFone. iMyFone LockWiper offers unique iCloud removal services with no password required. LockWiper offers three different types of iPhone unlock features: iCloud account removal, Screen lock removal, and restriction locks. Unlocks iPhone and iPad 4-digit & 6-digit screen locks, Touch ID and Face ID screen locks. Offers you 24 hours – 7 days a week technical support services when you use LockWiper in unlocking your device. LockWiper has thousands of positive reviews, recommendations from top review sites, and support from tech authorities. Step 1. Go to the official LockWiper download page for Mac or PC. Download and install iMyFone LockWiper on your computer, and connect your iOS device to the computer using a USB cable. Step 2. Select “Unlock Apple ID” from the home interface. Step 3. Tap “Start to Unlock” tab to unlock iCloud lock from your iOS device. Here are some of the top iCloud removal tools free download that can remove the iCloud account from your iPhone. 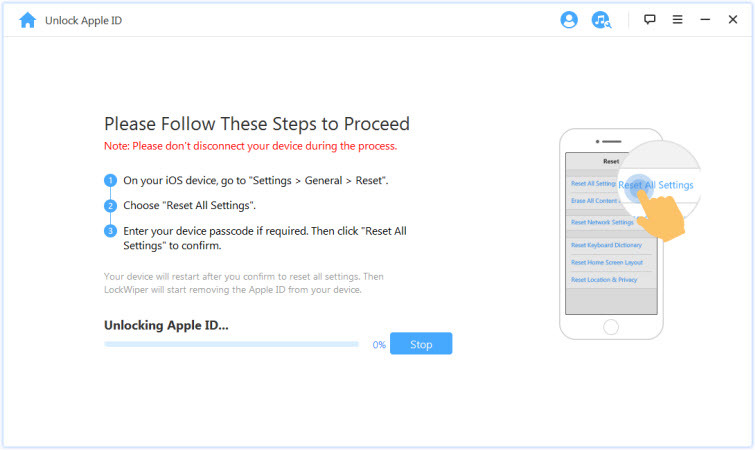 The iRemove software is designed to remove (bypass) Apple ID account on activated iOS devices. This software works on most iOS devices such as iPhone, iPad, and iPod touch, and supports iOS 11.3 and earlier versions. Removes Apple ID on activated Apple devices. Easy to use and relatively affordable. Help remove password from iCloud locked devices. 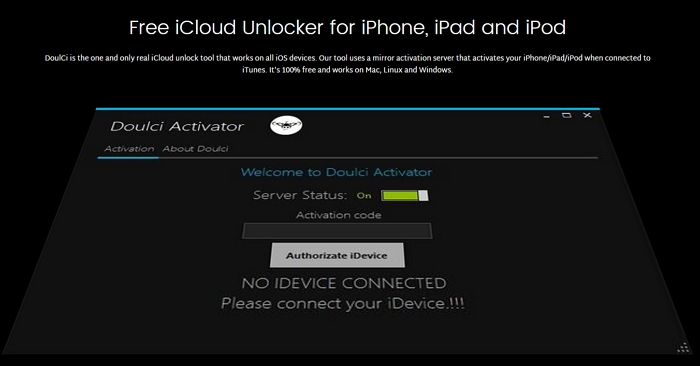 The Doulci iCloud Unlock Tool uses a server that mirrors Apple Servers to unlock your device. It has recorded a large percentage of unlocking, but doesn’t guarantee a 100% assurance of device unlock. Activate and deactivate the blocked devices. Solves the problem of unlocking blocked devices. Uses private and exclusive VPS Servers to unlock devices. The Official iPhone Unlock is not really a tool/software but an online service that can help you unlock iCloud locks from your iPhone through the help of their professional technicians. It also removes network lock on iPhones so you can use the phone on any network. Factory IMEI-based unlock for iPhones on iOS 12 and earlier. The online service has a good reputation. Offers SIM (Network Carrier) unlock.